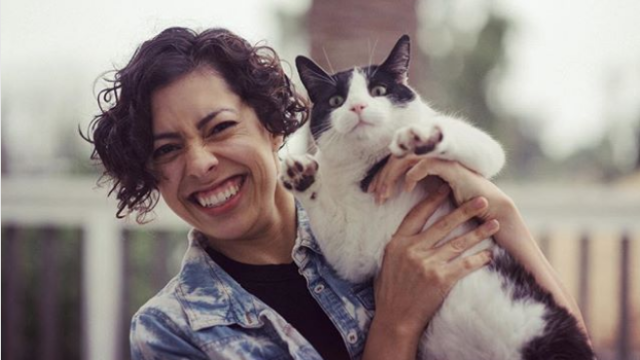 Claudia Restrepo is a producer, writer, director and performer for BuzzFeed’s Pero Like, where she has modeled Quinceañera dresses, talked about The Talk and forced her coworkers to go to the Ren Faire in costume. She is a graduate of the National Hispanic Media Coalition’s TV Writers Program and an advocate for better, smarter, more inclusive media for everyone. She lives in Los Angeles with Oscar, who doesn’t have an agent (yet). Follow her on Instagram for more photos like this one, and check out her own YouTube channel for some funny sketches that she needs to make more of, AHEM. Can You Tell The Difference Between Dog Things and Cat Things? Have dogs replaced cats as the internet’s favorite animal, as one news report claims? Do cats represent chaos? What is chaos? Is it this debate?